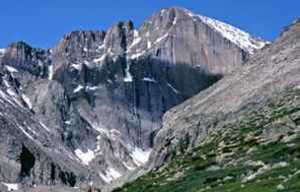 Across The Divide GeoTour features Rocky Mountain National Park and the mountain towns of Estes Park and Grand Lake. 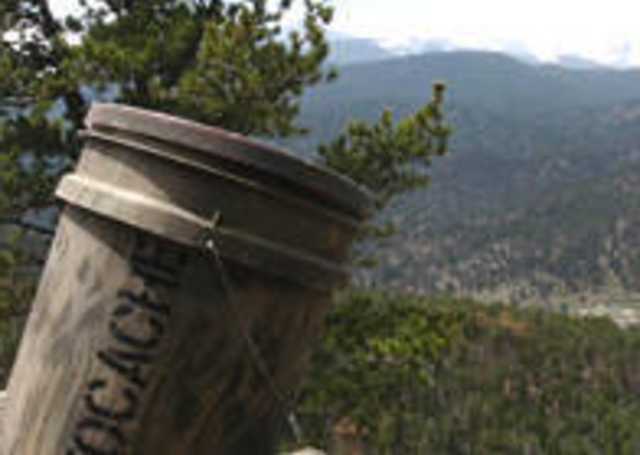 As you geocache from one village to the other, you will cross over the Continental Divide along Trail Ridge Road, reaching an altitude of 12,183 ft, as it passes through RMNP. This Centennial GeoAdventure first celebrated the 100th anniversary of RMNP, in 2015. We celebrated the 100th anniversary of the National Park Service, established in 1916 with the passage of The Organic Act, in 2016 and during 2017, we enjoyed Estes Park at 100 as we Celebrated the Vision. During 2018, the historic town of Grand Lake is the focus! Start your GeoTour by downloading the geocaches here or print your official 2018 Across the Divide Passport. You can also pick up a 2018 Passport at the Estes Park Visitor Center, 500 Big Thompson Ave (N40 22.737, W105 30.869), the Grand Lake Visitor Center (N 40 15.097, W105 50.093) and many local businesses, in their Brochure Racks. Check out the “Guide to Geocaching” included with Passports you pick up at the Visitors Centers or local businesses. 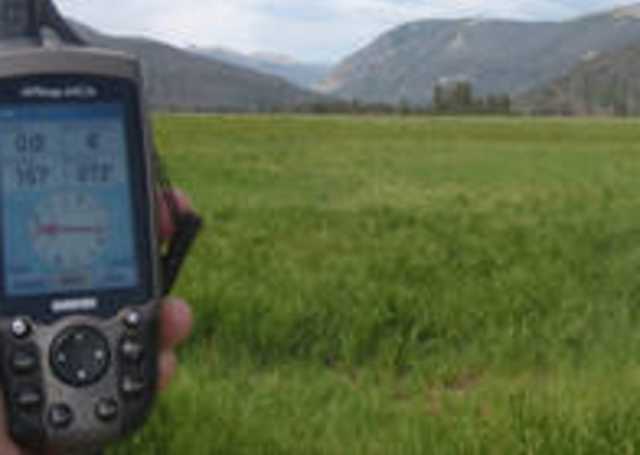 A list of the caches, coordinates, and EarthCache questions can also be printed for use in the field, where cell phone service may be limited. Search for our geocaches with your GPS or smartphone, using the free Geocaching apps for iPhones and Android devices. Each traditional cache will have a code to record in your passport. In RMNP, the Virtual Caches and EarthCaches have questions to answer, both on your passport and to log your find online. 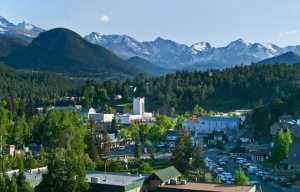 The GeoTour will take you to sights around Estes Park, over the Continental Divide and around the Town of Grand Lake. Be sure to stop at each of the National Park Visitor Centers to stamp your passport with the RMNP Passport stamps, too. 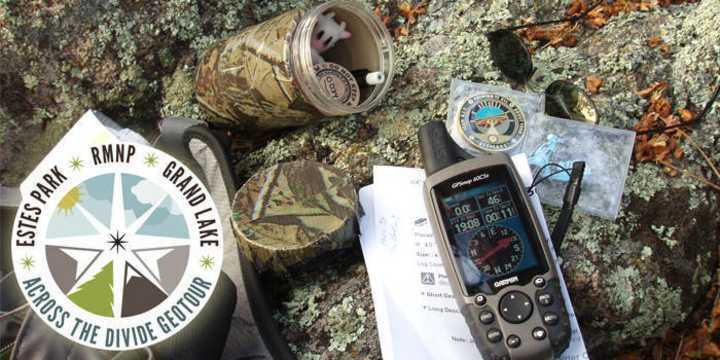 We have prizes for 10 caches in both Estes Park and Grand Lake (collectible wooden coin from each town), and for 25 (trackable pathtag) & 49 caches found (trackable geocoin), subject to availability. Bring your completed passports to the Estes Park Visitor Center or Grand Lake Visitor Center for verification and awards. The 2018 geocoin for all 49 caches is available at the Estes Park Visitor Center. Still want more caches to find? There are many more in Estes Park, Grand Lake, and Rocky Mountain National Park. Be advised: Cachers headed to Bear Lake, in Rocky Mountain National Park, in the summer, plan to visit before 8:00 am or after 3:00 pm, to avoid high-traffic times. Returning to Estes Park & Grand Lake, and still working on your 2017 GeoTour? We have a limited number of the 2017 geocoins remaining. Bring your completed Passport to the EPVC. Note: Only the 2017 geocoin will be awarded with the 2017 Passport. You will find that several caches overlap between the 2017 and 2018 versions of the Across The Divide GeoTour. Follow us on Facebook and tell us about your geocaching adventures.